Coin size: ? - ? 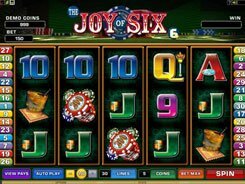 The game has very few regular features one would expect to find in a normal slot machine. 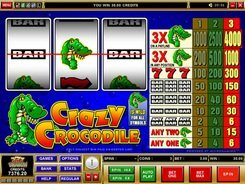 Instead of using wild symbols, scatters, combinations of matching symbols and other aspects that video slots have, the game actually has real poker rules. 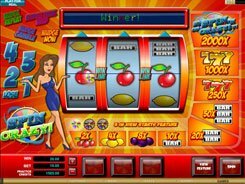 Technically, the game comprises 5 reels and 20 paylines, with a bet ranging from $0.25 to $100 per spin. The symbols set includes a full deck of poker cards without jokers. 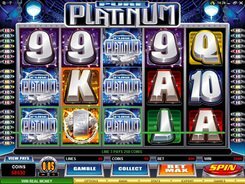 You are awarded for hitting poker combinations that may be created after the reels come to a stop, with payouts ranging between 10 and 8000 coins. In the paytable you will see a list of common poker hands ranked from best to worst. 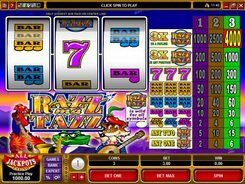 For example, hitting two pairs (2 sets of 2 same-value cards) awards 20 coins, three of a kind (3 same-value cards) awards 30 coins, and the highest prize of 8000 coins ($40,000 if playing at max) is granted for creating a Royal Flush hand (five cards from 10 to Ace of the same suit). 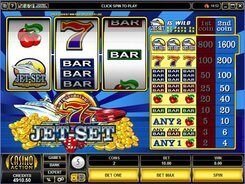 Overall, Reel Play Poker: Jacks Or Better is designed to be played by poker fans, yet some slot aficionados may find the game appealing as well. PLAY FOR REAL MONEY!